Doer of Things: Does that make me crazy? Maybe I'm crazy?. . . Probably. Does that make me crazy? Maybe I'm crazy?. . . Probably. At 8pm last night I started a print that would prove that batching my pieces is smart. 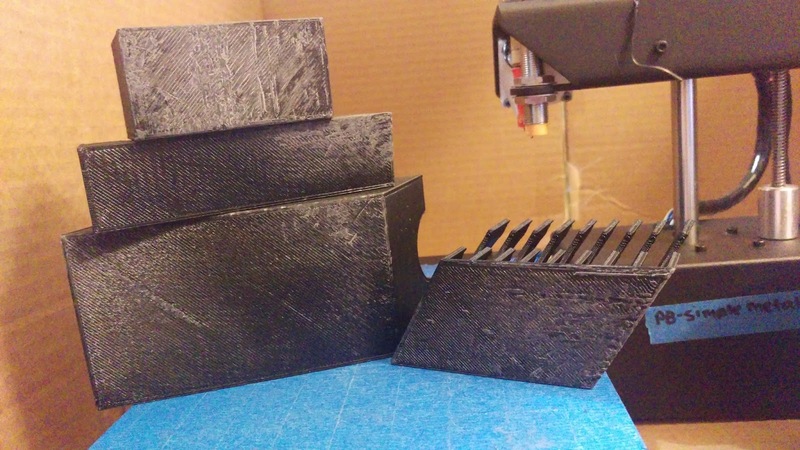 Of course the print would be just under 10 hours, which put the end time around 6am. This doesn't always make for the most restful sleep, but the process would be amazing if it worked. 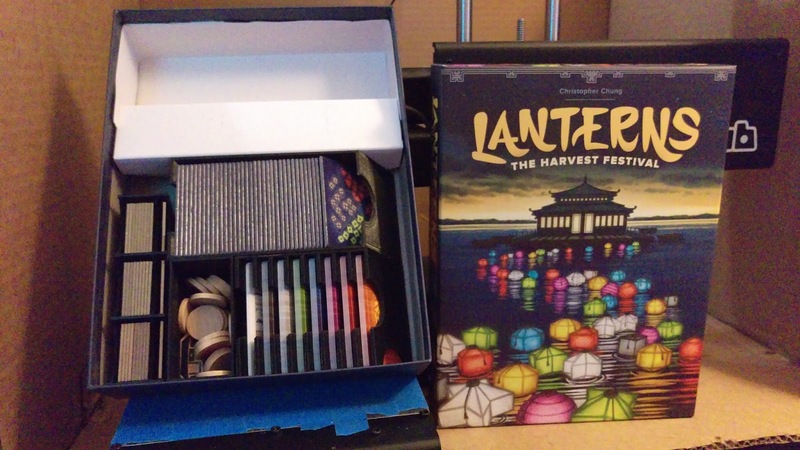 The project is an insert for a new game Lanterns: the Harvest Festival designed by Tejawood. The current insert was cardboard and just had two slots to put everything, and required a couple plastic baggies....I am not sure if I have mentioned this before, but I have come to hate plastic baggies when it comes to sorting board game pieces - it adds so much time to set up and clean up times. 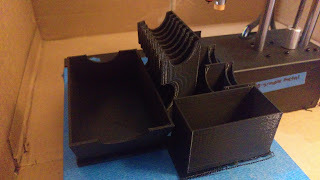 The files i downloaded were set up so that all the pieces would print on my 6" bed. I decide - why not? might as well try to get them all printed at once. This project actually worked! 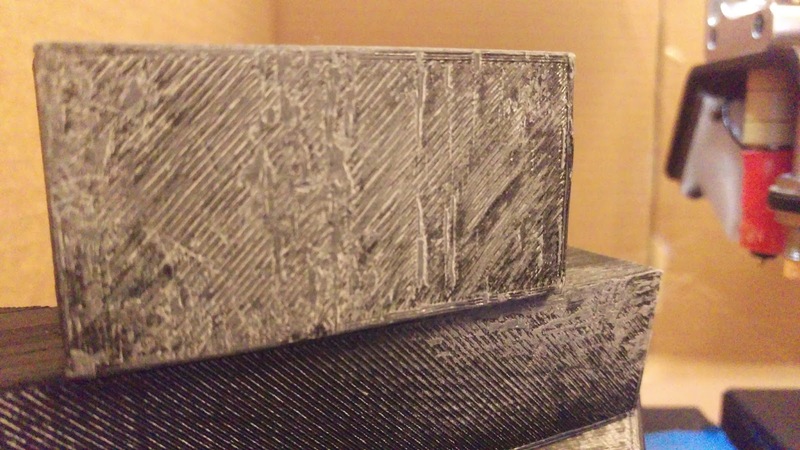 I woke up in the night and heard the printer finishing (the engines sound different because it lifts the extruder several millimeters and moves it to the home position for the x & y axis. I almost couldn't fall back asleep - i was like a kid at Christmas, wanting to check on how it turned out. I noticed while it was laying the raft, that the filament was a little strange, and before I went to bed, I thought I noticed some peeling from the bed, but I am excited to announce that it actually printed and worked out! I had some issues with the raft removal, it was kind of loose for some reason and took some effort to remove. Good thing I have sandpaper! I posted a couple pictures of the rough raft bottoms, but look at how great it looks in the lanterns box! Now I just need to start designing my own inserts!